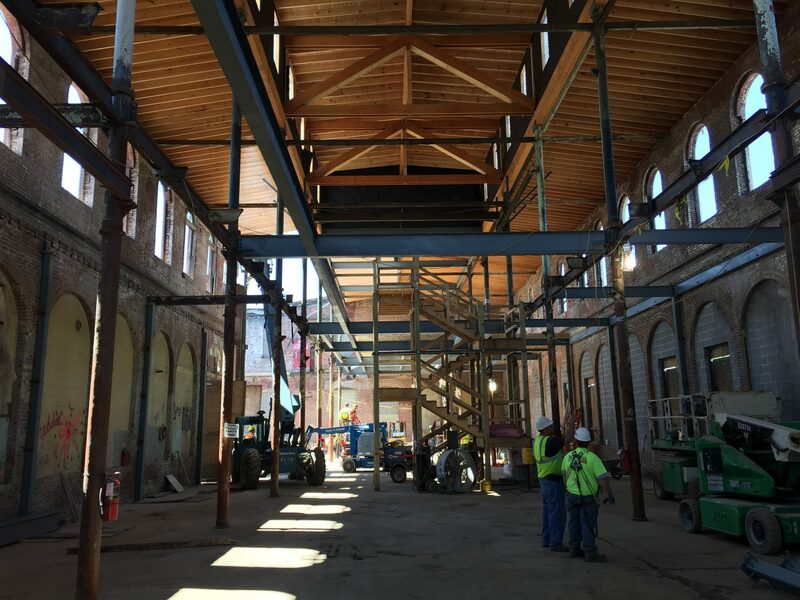 The Angel’s Envy project presented a unique challenge in that the distillery would occupy two adjacent buildings that had been vacant for almost 40 years. It would have been difficult to imagine those broken down structures becoming the jewel that adorns Louisville’s Main Street across from Slugger Field today. 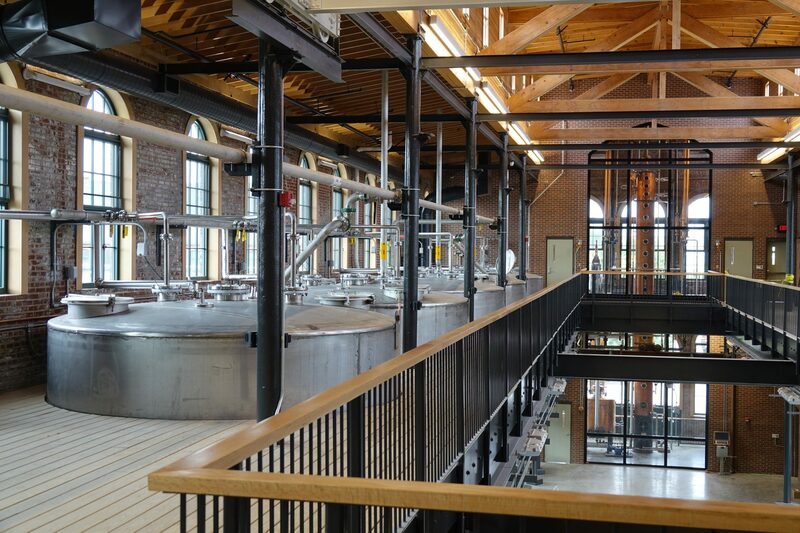 Starting in 2014, VITOK worked closely with Joseph & Joseph Architects to develop an aesthetically pleasing, yet fully functional distillery and visitor’s center. 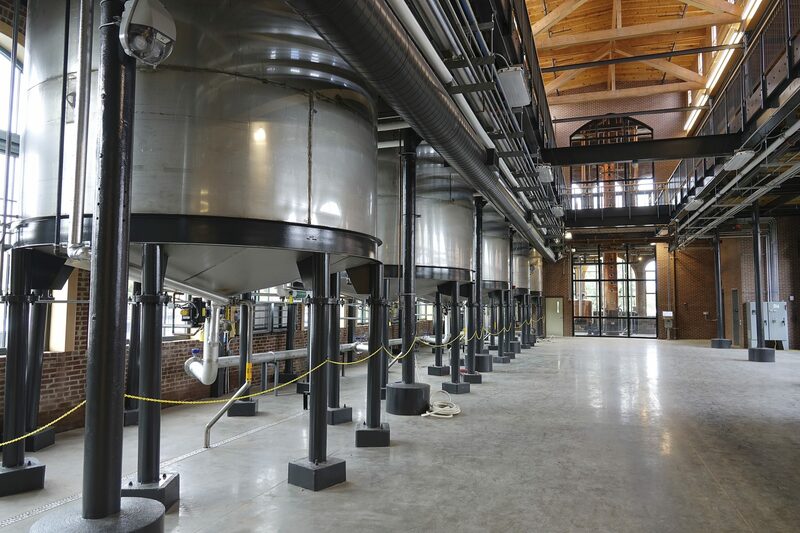 The grain handling system for this project presented a particular problem in that the architectural design required the mash cooker to be in the main room, which precluded the use of a large scale hopper to weigh the grain meal prior to cooking. This necessitated the use of a weighbelt feeder to weigh the grain prior to milling and then pneumatically conveying the meal to the cooker. 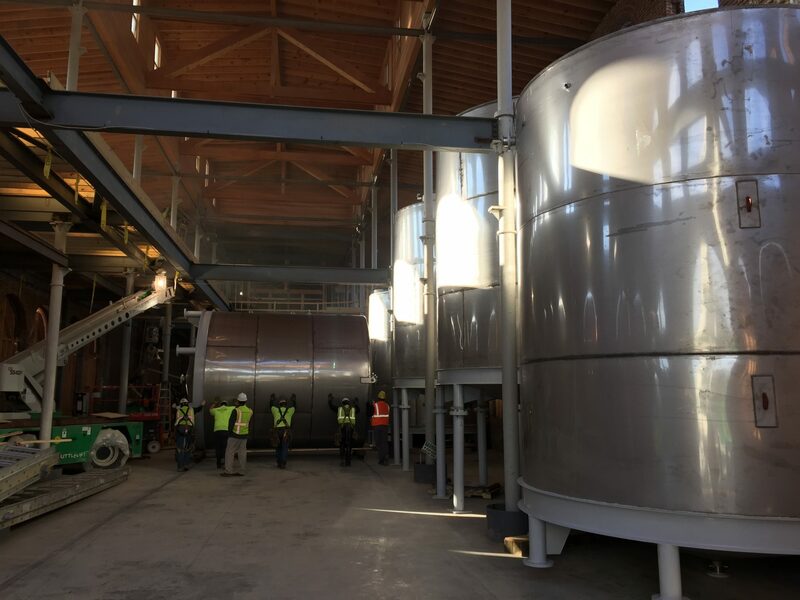 Also, this was VITOK’s first use of two full capacity chilled water tanks. 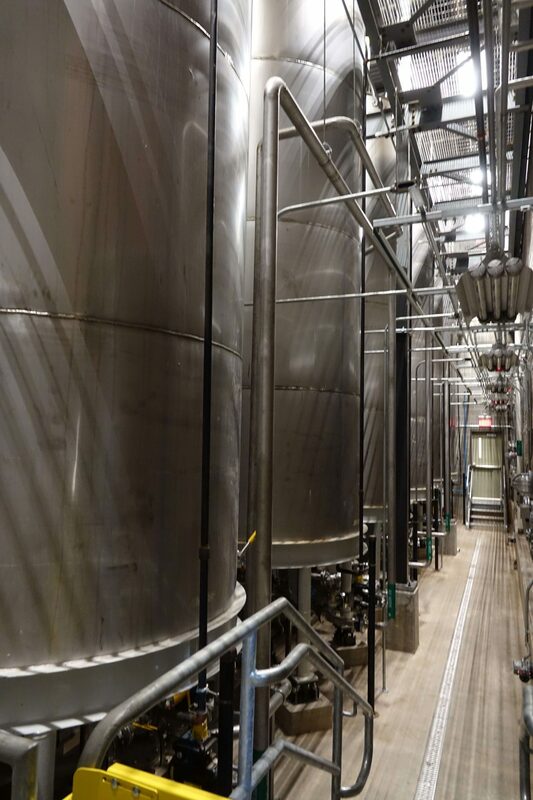 This enabled Angel’s Envy to procure a smaller chiller with substantially lower operating costs. 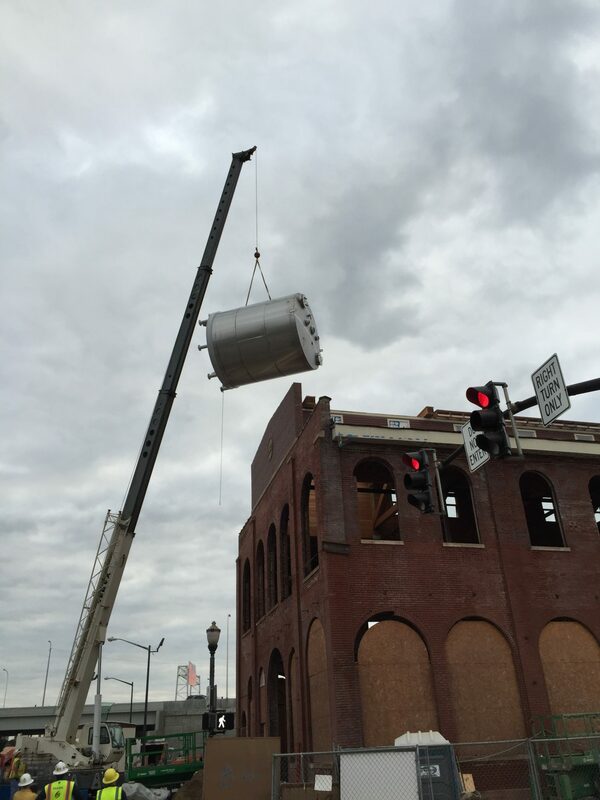 The six 5,800 gallon processing tanks were designed to fit in the alley between the original buildings. This alley was then covered and subsequently joined the two buildings into what is now Angel’s Envy.